If you have noticed that your level of engagement with your audience is declining, then you are not alone. Facebook launched its ‘Brand page’ feature in 2007, allowing for interaction between users and their favorite brands, and giving businesses another avenue through which they can market their goods and services. There is now more competition for limited space on users’ newsfeeds. Facebook has more than 18 million registered business pages, all competing for the same user space. It is impossible to show all users all the content from pages they follow, especially considering that there are pages which update their content multiple times daily. 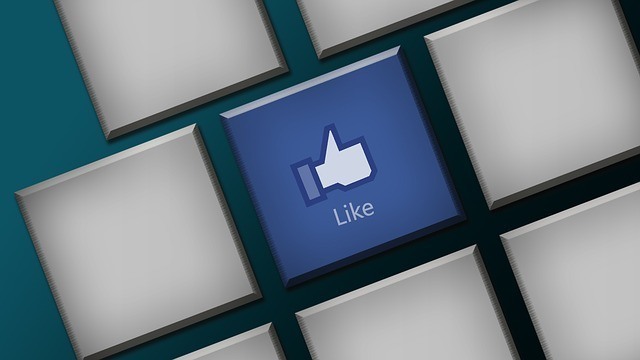 Facebook has an algorithm used to decide which content will be displayed on which user feed. Core factors in the algorithm include user interest in a page through previous interaction with the page in the past, performance/engagement level of the post, and nature of the post – text, image, video, link etc., and the time of posting. Staler content is less likely to be fed to users. Even if you fulfill the requirements above, Facebook may not promote your brand because they want you to pay for display time to consumers through their paid advertising and sponsored posts. In June 2014, Facebook announced their intention to reduce brand appearances on organic newsfeeds, and updated their spam algorithm to penalize brands using devious means e.g. link-baiting. This has strongly curtailed brands’ engagement levels with their audiences. To begin with, shift your focus from the level of reach, since it may not translate to ultimate success for you brand. This is the same argument given by SEO consultants – Google rankings are sure not the ultimate goal, but rather the number of leads and conversions should be the real metrics to be measured. The same applies to Facebook; focus on the amount of traffic and number of sales made through Facebook as these are actionable metrics directly contributing to your goal. The following are some strategies you can employ to get your brand further on Facebook. Think of it from the perspective of your users, then share high-quality and value-adding content. Just like Google, Facebook is very interested in the quality and relevance of content offered to its users. They consider different engagement metrics such as number of shares,clicks and likes in assessing the quality of content. Higher quality content will generate more shares, clicks and likes. Consistency in posting quality content will improve the level of engagement of a user with the brand, which maximizes chances of future posts being displayed to that user. If you lose user interest, you are gone from their newsfeeds as well. If your organic reach is already limited, you can use paid promotion to ‘boost’ your posts initially, which gives you a chance to establish credibility with users and opens the door for you to engage with them. Higher value content will need less promotion than lower value content. Likes: number of users that have liked your brand page over a certain duration of time, including the source i.e. on-page, mobile, page suggestion, desktop etc. Reach: number of users that have seen your posts. Under it, you can get specific stats on engagement metrics like comments, shares and likes. Visits: provides an itemized list indicating pages/tabs that were visited as well as external sites that have referred users to your brand page on Facebook. Posts: a summary of your posting history including type, reach, time of day, engagement and targeting. People: a breakdown of the demography that makes up your fan base including location, language, gender and comparison between people reached and those engaged. Do not base your analysis only on vain metrics in isolation. For instance, you cannot expect high engagement metrics where your visibility is poor to begin with. The advantage of Facebook Insights is that it provides a rounded view of the brand’s performance, enabling you to make better choices. It’s easy to find, easy to digest and it’s absolutely free. Do SEO Companies Offer good Value for Money?